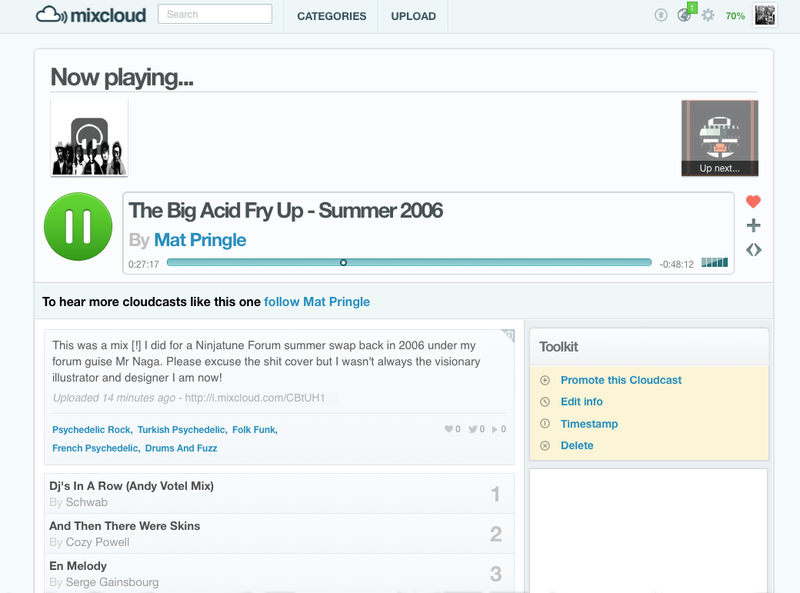 Despite having lots of proper to work I've found myself uploading old mixes to Mixcloud. 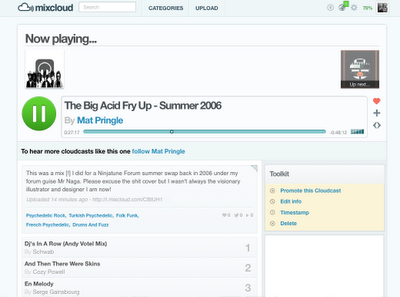 First up is 'The Big Acid Fry Up' from Summer 2006. Click here to listen. I'll try and do a few more in the next couple of weeks. This one features loads of pscyhedelic rock, French prog, folk, folk funk and all manner of drum heavy fuzz.